As the staff of the BDC reflect on the joys and tidings 2018 has given us and our wider PGR community, we can’t help but return to the one gift that has kept on giving: our brand-new PGR Hub space. It’s only been open since October, but it’s already had a huge (and positive) impact on Bristol’s PGRs. Here are seven of our Hub highlights — and some ideas on how you can make the most of this new space in 2019. The University’s Personal and Professional Development (PPD) programme for PGRs is now based primarily in one central location, thanks to the establishment of the PGR Hub. Our research students can come along to one consistent space to find out what’s coming up in our schedule of over 100 free workshops, seminars and courses run around researcher development. Since the Hub opening in October earlier this year, over 45 courses, workshops and groups in total have taken place in one of our dedicated training rooms. Highlights include brand new courses that focus on different stages of a research degree: ‘Getting going’, ‘Maintaining momentum’, and ‘Finishing up and forging ahead’ help you plan and manage your degree according to which stage you find yourself in. ‘Thesis Boot Camp’, a residential writing programme for those writing up, also took place over three days in November. Check out upcoming PPD courses through our online catalogue. As we enter 2019 and look ahead at our upcoming seasons — Valentine’s Day, the Easter break, maybe even an April Fool’s themed quiz — we’re asking our PGRs to volunteer themselves as host! Get in touch with us if you think you can outpun our punstoppable punchlines so far. November saw researchers and research students alike join in with Academic Writing Month (#AcWriMo). The University joined in for WriteFest, a month dedicated to support around writing for academic purposes. Altogether, our PGRs who took part wrote a total of 349,229 over the course of 30 days — an astounding figure! A big part of how we achieved this was through hosting Thesis Boot Camp, Writers’ Retreats, and Drop-in writing days in the Hub. Of course, WriteFest wasn’t just about hitting targets – but about developing healthy, professional writing habits. 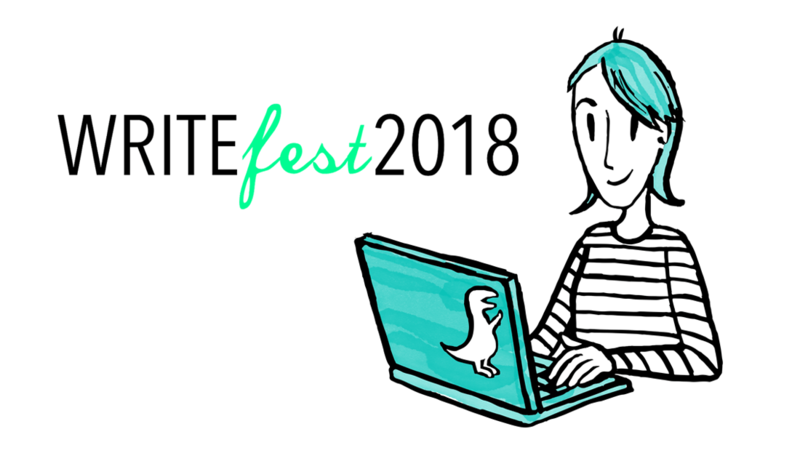 Check out our WriteFest roundup for our most important takeaways and tips. From January, we’ll be hosting regular drop-in writing retreats every Friday in the Hub. One of our favourite activities going on in the PGR Hub is the ‘calming Crafternoon’ – an afternoon dedicated entirely to mindfulness activities such as knitting, colouring, jigsaw puzzling or sketching. We provide the supplies, and our PGRs supply themselves! Even if you don’t want to take part in a specific activity, there’s free tea and coffee on hand to help you relax and unwind. Do you have an activity you’d like to bring, a skill you’d like to share, or an idea for supporting mindfulness? Get in touch with us and let’s make it happen! A huge part of supporting our PGR community is to support doctoral researchers who teach. The Hub is host to the newly established ‘TA Talks’ series, which consists of loosely-themed sessions designed around peer-networking, support resources and development opportunities around the University. The first two talks featured appearances from the Digital Education Office and the Bristol Doctoral College. The next TA talk takes place on 22 January, and invites early career academics from the Bristol Institute for Learning and Teaching (BILT) to discuss how their own teaching experiences influenced their research and career pathways. Sign up via Eventbrite. PGRs Sam Brooks and Robert Dibble shared their experiences on placements they undertook this summer as part of the National Productivity Investment Fund. PGRs interested in learning more about the benefits of placement opportunities were invited to hear them speak and ask questions over free pizza in the Hub. The value of getting established in industry settings are that they open employability doors beyond the world of academia. Placements broaden your skill set, complement your research, and provide experience in a professional setting. Our next discussion about placements features a special guest from Aardman Animations to share her experiences of working in Creative Industries. Join us in the Hub on 22 January. 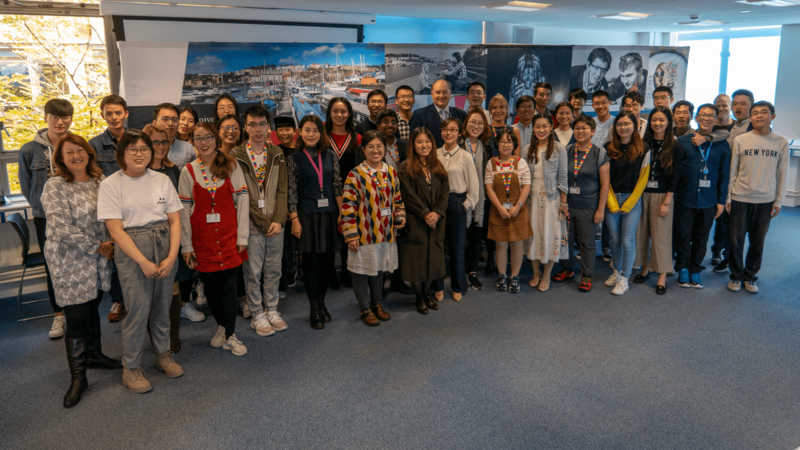 The Hub provided an ideal location to welcome to Bristol our new cohort of China Scholarship Council – University of Bristol (CSC-UoB) Joint PhD Scholars. 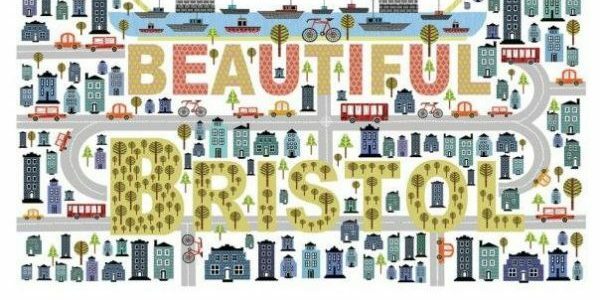 Returning students were invited to share their experiences of Bristol both as a city and a research-intensive University, and new students were encouraged to share their hopes and ambitions for the next few years. The Pro-Vice Chancellor for Research and Enterprise, Professor Nishan Canagarajah, welcomed the scholars with a heartfelt message about his own experiences as an international postgraduate scholar, and the importance of finding and building relationships and support systems within one’s wider research community. Since this event, the PGR Hub has been a space dedicated to helping our PGRs build those relationships and establish those support systems for themselves and with one another. Writing is a universal experience for all research students. Whether you’re researching rats in Argentina or counting conjunctions in Classical texts, at some point your findings will need to be written up into a dissertation. Add to that the need to draft conference papers, journal articles, and grant applications, and a month focusing on writing seemed like a great idea. 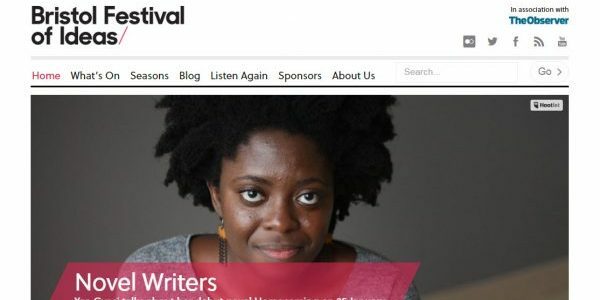 This is the first time Bristol has been involved in WriteFest and we therefore initially had quite modest goals: to write 100,000 words over the course of the month. However, with Thesis Boot Camp as part of our WriteFest activities, we soon smashed that figure, writing a whopping 263, 343 words over 2 and a half days! This required us to re-evaluate and institute a #stretchgoal of 500,000 words! The final figures reveal that we actually wrote 349,229 over the course of 30 days, which is an astounding figure! But it wasn’t all about the numbers. Our focus during WriteFest has been to develop healthy, professional writing habits. We featured three videos, each with three top tips of how to write productively. Through social media we shared several tools to help motivate and encourage our researchers to reach their personal writing targets, including highlighting how the Hemingway app can help to craft more precise prose, and how The Most Dangerous Writing App can provide a little extra pressure to keep writing! We even shared how to block out distractions through social-media blocking apps Freedom.to and StayFocusd. Hopefully the use of these apps didn’t prevent you from taking part in our #writekindofmusic competition, which encouraged our researchers to share their writing playlists. Lisa Morgans, a researcher in Veterinary Sciences, won a £10 Rough Trade voucher for sharing her favourite instrumental and world music, including Songhoy Blues. It is no coincidence that Self Care Week fell in the middle of WriteFest. A focus on word counts and competitions can make some people feel as though the only way to write well is to write all the time. However, we tried to stress the importance of taking care of oneself and the value of a well-earned break. We featured tips from the PGR community of how we can take care of ourselves, from practising yoga to finding a bit of peace and quiet each day. Simple, healthy habits to implement every day. Throughout November there were also opportunities for our researchers to meet some of the new Student Wellbeing Advisers, and to attend sessions with Bristol Wellbeing Therapies. We also hosted relaxation afternoons in the Hub, featuring free tea, coffee and board games. Finally, we explored the value of ‘making and connecting’ in our #crafternoon. Throughout WriteFest we’ve learned the power of writing together – either physically, in our Writers’ Retreats and drop-in writing days, or virtually, by sharing our writing goals and holding one another accountable for our achievements. There’s something quite profound about knowing that by writing alongside others you can achieve more than you ever could working alone. It’s a huge celebration for new postgraduate researchers — and, this year, we’re asking all our PGRs to mark the occasion by sending us a snap of something they love about the city, the University or their research. We already have a selection of stock snaps for the Great Hall’s big screen (which may or may not feature balloons and bridges), but we thought it’d be much more meaningful to share some of your photos — especially images that encapsulate what you’ve enjoyed about your time so far. in an email to doctoral-college@bristol.ac.uk. We’ll pick our four favourite entries at 5pm on Wednesday 17 October. The winners will be displayed on the Main Hall’s giant screen during the Researcher Inauguration and exhibited in the new PGR Hub from the week beginning 22 October. Good luck — and happy snapping! The competition is open to all current postgraduate research students at the University of Bristol. The closing date for entries is 5pm on Wednesday 17 October 2018. Each winner will receive a £10 Watershed voucher. Four prizes will be awarded. Entries will be judged by members of the Bristol Doctoral College team. Entrants can submit more than one photo. Winners consent to their winning photos being displayed during the Bristol Doctoral College’s Researcher Inauguration event on 18 October 2018 and in the PGR Hub in Senate House. Photos will not be used for commercial purposes. By now, most Bristol PGRs will (we hope) have heard about Research without Borders, the University’s festival of postgraduate research. 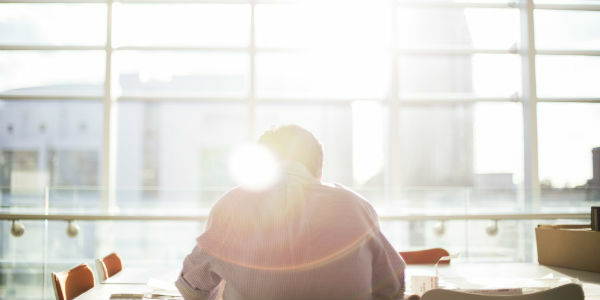 You might not have heard, though, that there are a lot of good reasons why it’s worth your time — from communication training to making new connections. We’ll be welcoming a wide variety of visitors to both the Colston Hall exhibition and the discussion series — from academics and industry contacts to fellow PGRs and school pupils. If you’re keen to share your research with the wider world, then, Research without Borders is an amazing opportunity to make connections with audiences that otherwise would be hard to reach. Want to get a flavour of the festival? Watch this round-up video from the 2017 showcase. We’re encouraging all our exhibitors to come up with creative and imaginative displays — above and beyond the standard academic posters. We know that this kind of creativity comes with a price tag, though, so every PGR who takes part in the showcase event will get £30 that they can use for materials or equipment. But what happens if you have a particularly ambitious idea for your exhibit? We’re keen to encourage innovative approaches — so, during the training phase, you’ll be able to apply for up to £200 to make it a reality. Every PGR who takes part — whether they’re exhibiting at the showcase event or presenting during the evening discussion series — will receive a bespoke package of training that’ll help them structure and communicate their ideas. It’s not just a fun event in itself; Research without Borders can also be a springboard for PGRs who want to communicate their work to the world. After last year’s festival, some of the participants went on to talk about their research on podcasts, at public events, conferences — and even on television. It’s no secret that we think Research without Borders is a fantastic opportunity for Bristol’s PGRs. You don’t just have to take our word for it, though. Watch Jessye Aggleton, who took part in last year’s festival, share some of her reflections on the event. Interested in taking part in the showcase event? If you do, you might win the coveted title of ‘Most Engaging Exhibit’ — an honour that comes with a free Apple iPad. Other prizes on the day will include money for researcher development activities. You can find even more reasons to take part — and submit your application — by visiting our Research without Borders page. Hurry, though! The deadline is 11am on Monday 5 February. 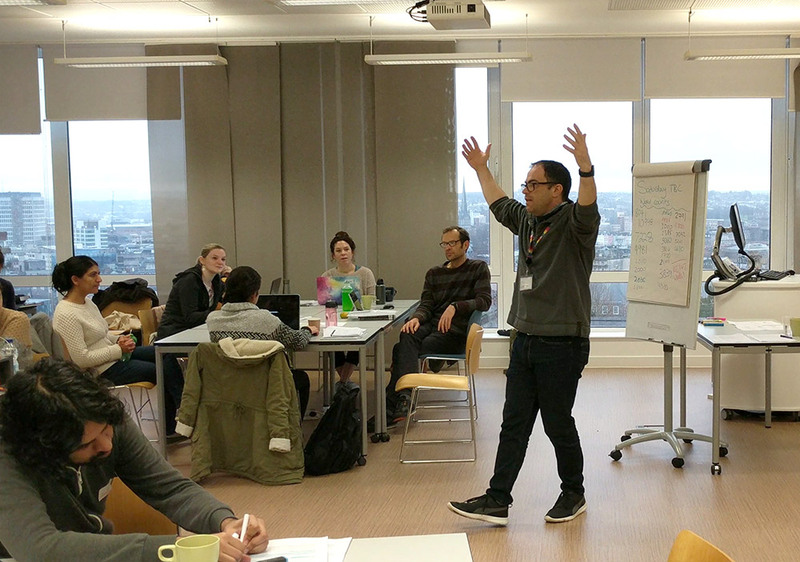 Dr. Paul Spencer, the Bristol Doctoral College’s PGR Environment Development Manager, took some time during December’s Thesis Boot Camp to reflect on the aims of the weekend — and why it’s so beneficial for the postgraduate researchers who take part. It’s a Sunday morning in mid-December, I can see great big flakes of snow falling outside the window to my right and I’m writing away along with 25 postgraduate researchers who are making stellar progress on writing that thesis. Why? Well, the Bristol Doctoral College (BDC) is running our first Thesis Boot Camp here in the School of Education this weekend. The BDC will run two more in the coming months, so I thought I’d take the time to explain what it’s all about. What is a Thesis Boot Camp? Simply put, it’s about getting late stage postgraduate researchers together in a peer group and setting them a seemingly impossible target of writing 20,000 words between Friday evening to Sunday evening. Many postgraduate researchers find themselves writing alone, struggling to make progress on what can feel like an unreachable goal. Thesis Boot Camp turns that on its head and brings people together to harness the power of collective motivation and progress. All creative ideas involve some sort of theft, and so it is with Thesis Boot Camp. There are many writing retreats that groups of authors often engage in and this is just an iteration of that. It’s really quite simple: provide some comfortable space, food, drink, an empathetic ear, plenty of opportunity for connection and just let the postgraduate researchers write. What key things are we trying out here? The key concepts that we ask the participants to experiment with are things that experienced writing tutors may be familiar with. That writing in a group, especially of like-minded individuals, can be hugely productive. Often the sense of perfectionism that doctoral researchers aspire to can get in the way of writing productively, so neatly described in Katherine Firth’s blogpost on ‘The Perfect Sentence Vortex’. To be productive, you first need quite a lot of material to begin with — make a big mess first and then tidy it up! Preparation is crucial, so participants are given lots of ideas and suggestions on how to plan and be ready for Thesis Boot Camp before it happens. This involves a bit of planning — to really think about what each chapter is trying to achieve and how it fits into an overall argument or thread that forms the backbone of the original contribution claim in a doctoral dissertation. The first thing that has really struck me this weekend has been the overall enthusiasm and positive approach from the postgraduate researchers on this Thesis Boot Camp. The willingness to lean into the discomfort of trying out unfamiliar approaches to writing, the collegial nature of the interactions, the supportive conversations that I’ve witnessed. It really drives home the absolute key ingredient for me, and that’s the importance of a community of writers/peers who offer each other encouragement and support collectively whilst pursuing their own writing goals. Here are a few things that really help make a Thesis Boot Camp work. A good, flexible venue. In this case the entire top floor of the School of Education in Berkeley Square — self-contained and able to support a DIY approach to the provision of copious amounts of tea/coffee (essential!). Regular meal times. A good range of wholesome food — and being able to eat together without effort — is crucial for the community dynamic. Plenty of snacks in between is also essential. Boot Camp runs on biscuits! Taking regular breaks. We took full advantage of our great location and went for a walk to the Cabot Tower on Brandon Hill on Saturday afternoon, and on Sunday with the sleet and snow falling, it was easy to pop over the road to the Bristol Museum & Art Gallery. As one participant said, viewing the dinosaur bones certainly brought a sense of perspective to the thesis writing. The rewards! I know it seems silly, but squeezy coloured Lego bricks at regular word-count milestones (5,000, 10,000, 15,000 and 20,000) are a real symbol of progress and productivity and the participants really took to the concept. The real magic of these is that you take them home, pop them on your desk and they serve as a reminder of your achievement to inspire you during the writing times to come. And that of course is the most important part of Thesis Boot Camp: the legacy. Creating ways for postgraduate researchers to remind themselves and each other of their progress during just one weekend helps inspire them to continue to meet, talk, write and encourage each other to get to that dreamed of finish line. Being part of that is something pretty special. Our PGR Ventures Fund supports grassroots innovation, creativity and leadership in the University of Bristol’s postgraduate researcher community. This year, the Literary and Visual Landscapes Seminar Series received funding from the Ventures Fund and the School of Modern Languages to host a half-day symposium on the theme of ‘Disrupted Landscapes’. The Literary and Visual Landscapes team took some time to tell us about the event’s success. 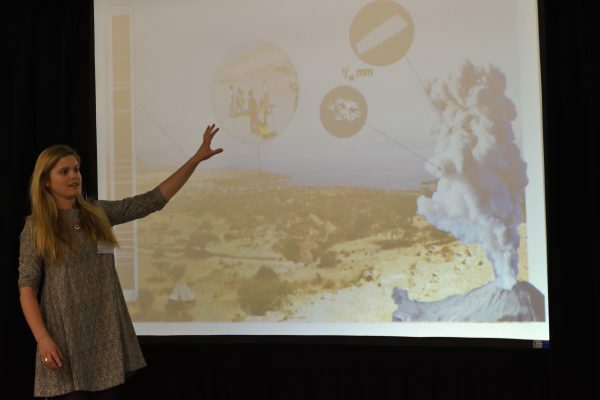 Our Disrupted Landscapes Symposium, which was held on 14 June, was an opportunity for postgraduate researchers from all disciplines to explore the concept of ‘disrupted landscapes’ across all geographical and chronological time spans. In our call for papers, we invited speakers to explore the concept of landscapes in both the traditional sense — as geographical and pastoral spaces — and also as figurative sites of conflict and uncertainty. What does it mean for a landscape to be ‘disrupted’? How might we measure this? How might a ‘disrupted’ landscape affect its inhabitants, and how might these individuals contribute to the disturbance of their physical surroundings? The greatest success of the symposium was how our broad call for papers brought so many different areas of research together, enabling us to really promote the interdisciplinary ethos of the Literary and Visual Landscapes Seminar Series. The speakers came from our own postgraduate research cohort, including some new faces, as well as the University of Sheffield and Goldsmiths (University of London). Our audience was even more varied. Our panels — ‘Disrupted Victorian Topographies’, ‘Digitised Landscapes’ and ‘Memorialising Landscapes’ — overlapped in more ways than we could have foreseen, such as Andy Day and Doreen Pastor’s discussions on memorials in the landscape, and Joan Passey and Sophie Maxwell’s references to the landscape paintings of J. M. W. Turner. Tamsin Crowther kicked the afternoon off with a fascinating look at the anxieties of the Victorian suburbs, and Richard Stone commenced our final panel with a lively debate on the urban representation of Bristol’s connection to slavery. It was exciting also to see how the papers linked back to our seminar series — particularly James Watts’s discussion of colonial landscapes. Thank you again to the Ventures Fund for such a great opportunity to gain experience organising and coordinating a symposium and to meet so many great postgraduate researchers and learn about such a wide variety of projects. As our 100 postgraduate researchers involved in this year’s Research without Borders festival prepare their exhibitions, discussions and presentations, we took a trip down memory lane to last year’s showcase and talked to the winner of the prize for Interactive Display, Henry Webber, an Archaeology and Anthropology PhD candidate. Last year I applied to display my research at the Research Without Borders festival. I wanted to use the process as an exercise for thinking about my ideas, and how to present and communicate these ideas to a mixture of people from colleagues to academics, to the general public and other industries. My research involves connecting archaeology with agriculture. It is about learning what impacts humans have had on the landscape, the material remains left in the soil, and how these may be impacting state of the art farming techniques and agricultural knowledge in the 21st century. Some of the main aspects that I wanted to convey were the material aspects of my research, the focus on soils and how they are central to both archaeology (for the study of the human past) and agriculture (for the future of society). In addition, I wanted to showcase how agricultural techniques are changing with the evolution of remote sensing data, and software and hardware development. With an increased focus on high resolution data and precise methodologies, such as GPS steering of tractors and variable rate fertiliser application, requiring ever more detailed knowledge of soil variation, the impacts that humans have had on soils are becoming increasingly more important. To try to engage people in my display and demonstrate these ideas, I brought in real soil and turf blocks to replicate a field with a crop. I then stripped off the topsoil and recreated a miniature archaeological site with darker colours of soil representing high organic matter and nutrient levels such as phosphorus, which is often found in conjunction with archaeological sites. I used toy tractors from my childhood to demonstrate the actions and spatial connection that farmers have with archaeology and to explain some of the contentions that currently exist between farmers and archaeologists. Next to this I had printed images of my case study datasets and a projector with several videos showing high-tech precision spraying, laser weeding and autonomous vehicles. I also brought some actual geophysical equipment (Ground Penetrating Radar) for people to use. With Ground Penetrating Radar, it is possible to see objects below the surface, and in the display hall we could tell where pipes, electric cables, and solid floor supports were from the way they reflect radar energy. This sort of technique is also however, commonly used to discover buried archaeology. After I found out that I had won the prize for best interactive display, I was delighted! I had certainly got a lot out of the event already from just the networking and discussions with people, but the prize was an additional bonus. The prize consisted of money to put towards training of my choice, which I decided to use to improve and continue my professional development in being qualified in agronomic advice. advice, issues, and legislation. This has great benefit for my research as, when talking to farmers, I can contextualise my research in ‘real life’ farming practices in the UK today. It has also helped me to engage with farmers and develop positive relationships around which my research can become much more reflexive. Finally, this training provides me with a qualification that will be useful in any future career path relating to food and farming and allow me to have a broader perspective. The Research without Borders festival was certainly a great event and I am glad to see it continuing this year. It was worthwhile from many perspectives for me and I would encourage you to get involved to meet new people, try out new ideas and explore displaying your own research! The showcase exhibition returns to Colston Hall frmo 2 to 5pm on 12 May in this year’s Research without Borders festival. Sign up for tickets via Eventbrite. 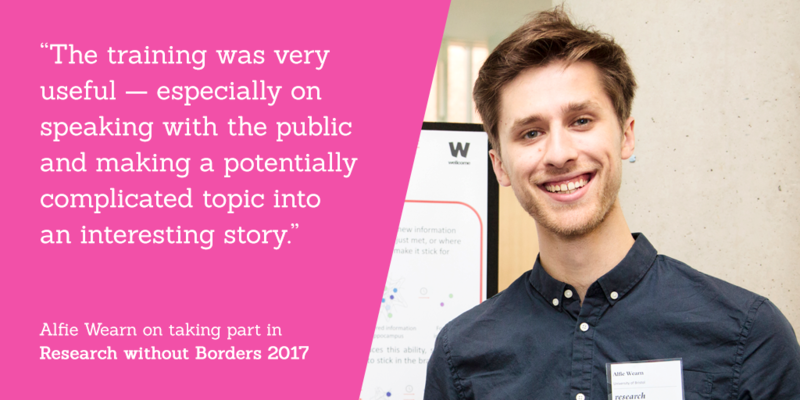 In case you hadn’t heard yet, sign ups are open for Research without Borders 2017, our flagship festival of postgraduate research where we put your work front and centre. This year’s festival is bigger and better than ever, including an evening discussion series, a showcase exhibition at Colston Hall, and the finals of the 3MT competition. Why should you get involved? We spoke to Keri McNamara, who took part in last year’s festival and presented in the 3MT finals (catch her video on our YouTube channel! ), to offer you an insider’s perspective on what’s great, what’s challenging and why it’s important to take part. Which faculty are you in? Can you tell me a bit about your research? Maybe, instead of three minutes, you could tell us in three words…? I’m in the school of Earth Sciences in the Faculty of Science. To describe my research in three words: Volcanoes, Ash, Ethiopia. Why did you decided to sign up last year – what persuaded you, or what were you hoping to get from taking part? I had heard about it from a friend in the year above and it thought it would be a good opportunity to practise my public speaking. I’ve always found presenting rather daunting but felt that the more I pushed myself to do it the easier it got. This just seemed like a fun opportunity. I also enjoy outreach so seemed like a good way to combine both. What was the hardest, or scariest part of the 3MT? Is it what you expected it to be before you went onstage, or did that change? I love writing so I found the easiest thing was to write it out first like I was writing an article and perfect it on paper. I then basically learnt it like a script and then made minor tweaks so it flowed better. I know a lot of people prefer to improvise but I felt much more confident learning what I was going to say. What is your funnest memory from taking part last year? I think during the first heat- everyone taking part was so friendly and it was fun to get to know people from completely different parts of the university studying a huge range of topics. It made it a very relaxed environment- not threatening or intimidating at all. And what made you get involved with Research without Borders? I liked the fact it was multidisciplinary with opportunities to meet people from other research areas as well as people from industry. What was the funnest bit? Making a display to go along with my poster- it was a bit more interesting than preparing for a traditional conference. Any pearls of wisdom to share for people considering taking part in this year’s 3MT? I would recommend spending more time at the beginning sketching out the ‘story’ of what you’re going to say to make sure the content flows well in a strong framework. Also practise as much as you can be bothered to right before; being prepared was the only thing that saved me from being too nervous. Also definitely take part– even if (or especially if!) public speaking scares you. It’s a great way to improve! Has the 3MT been helpful to you in anyway? Why should students to get involved? It has helped no end with my confidence in public speaking. In my PhD I have to give quite a lot of talks and I think it was a real turning point for me. I went from just rushing to get to the end of a presentation to actually thinking about what I was saying and being conscious of how I was presenting. I also put it on my CV as an example of public speaking and outreach skills. What about Research without Borders? Did it change how you think or view your research/PhD? I’m not sure it helped me in one particular way but it was really great to talk to people working in other areas to challenge me to get ‘outside the bubble’ of my research areas and think about the bigger picture. Fancy showcasing or presenting in this year’s Research without Borders? Sign up by 28 February! Want to take part in the 3MT competition? It’s as simple as this application form. This could be you, if you signed up to take part in this year’s Research without Borders! The Three-Minute Thesis (3MT) 2017 competition is open for sign-ups! We asked last year’s winner, Sam Briggs, for some of his top tips. We use jargon in our fields of research because it is precise, concise, and highly descriptive. When participating in a competition that values those things you can use jargon but make sure you can explain it with a short rider, caveat, or example! Your area of work is likely to be highly specialised, which means your average layperson isn’t going to have a clue as to why you’re so interested in what you do, or why it matters. Contextualise. Pose a big question that you’ll try to answer in your 3 minutes. Wrap up with that question too, so you can answer with what you’ve learnt so far during your research. Research isn’t all peaches and cream and has certainly, for me, had its moments of humour and/or despair – but maybe this isn’t your experience! Audiences love hearing about some of the struggles of research, as it humanises you and makes your work relatable. It’s also a good reminder that research is about the generation and discovery of new knowledge, which doesn’t happen without a few hiccups or missteps along the way. A backdrop of healthy self-awareness and critique goes a long way. You only have 3 minutes. I know that’s obvious — but seriously, it’s not that long. Don’t try and do your entire thesis! Stick to only one project, or one concept that you are exploring. Pick one thing and do that thing well. If you can give someone a new perspective on something, or new knowledge about just one tiny aspect of your work, then you’ll have done a good job. Practice! To your colleagues, to your mates, to your family, to yourself in the bathroom mirror. How you stand, how you project your voice, and how you time your vocal cues -, these are all crucial to coming across confidently, clearly, and effectively. The only way to do this is to become comfortable with the material you prepare, to trust that it will fit within 3 minutes, and then to practice, practice, practice. The 3MT is a bit of a whirlwind: the experience is one that carries you along at a terrific pace. Before you know it you can be stood on a stage performing to the general public, but remember – you are human, they are humans. Take a deep breath and speak – it’s only for 3 minutes. It goes without saying that to get the benefits of taking part, you need to apply. Just do it! You won’t regret it. Applications for the 3MT 2017 are open until midday on March 15th: apply now! For information, key dates, and to learn more about our previous 3MT competitions, visit our website. We bet you didn’t expect to see this as number 1 on the list, but looking after yourself shouldn’t be forgotten. Life as a researcher can take its toll on your mental and physical health. In the depths of research – whether in the lab, the archives, or the field – it’s all too easy to get sucked away from the wider world. Take a quick look at our virtual resource hub for activities, events, information and news about mental health and general wellbeing. Our flagship Research without Borders festival provides an interactive space for Bristol postgraduate researchers across all disciplines to come together and showcase their work to a broad audience from within and outside of the University. 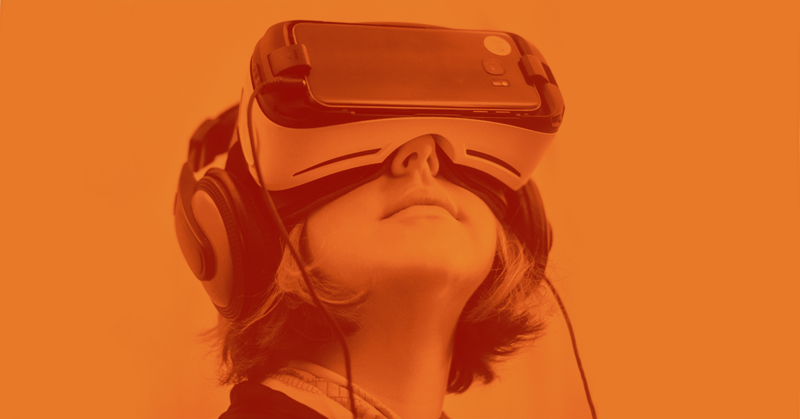 This year’s festival will include a whole week of interactive showcase events: an evening seminar series, the finals of the Three Minute Thesis (3MT®) competition and an afternoon showcase exhibition at Colston Hall on Friday 12 May. 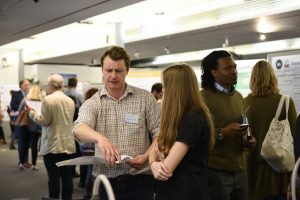 More than 100 PGRs shared their work at last year’s exhibition, through research posters, hands-on demonstrations, innovative research displays and lively discussions. Take a look at last year’s event to get a sense of just how special the event was – and help us make this year’s event bigger and better than ever! Keep an eye on the Bristol Doctoral College website to find out how you can sign up. In an increasingly competitive environment there is a growing demand on postgraduate researchers not just to be qualified experts in their subject area, but to be highly accomplished individuals with the skills and attitude to communicate, innovate and adapt within a continually changing landscape. The Bristol Doctoral College runs a Personal and Professional Development programme with more than 150 workshops, seminars and online resources designed specifically for postgraduate research students. Take a look at the full catalogue and sign up today! The PG Network is a student-led initiative for all postgraduate students (both research and taught) that seeks to develop an active, strong and vibrant postgraduate community here at the University of Bristol. 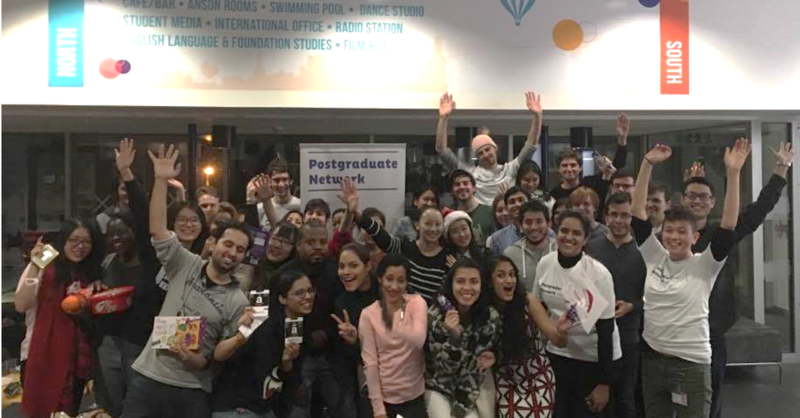 The PG Network organises events in Bristol and provides a real chance for students to work together to shape and develop Bristol postgraduate community life. Get involved and keep up to date by joining the group on Facebook. Keep your mind active even when you need a break from your research by going to a public lecture, talk or debate about something completely different to your main study area. 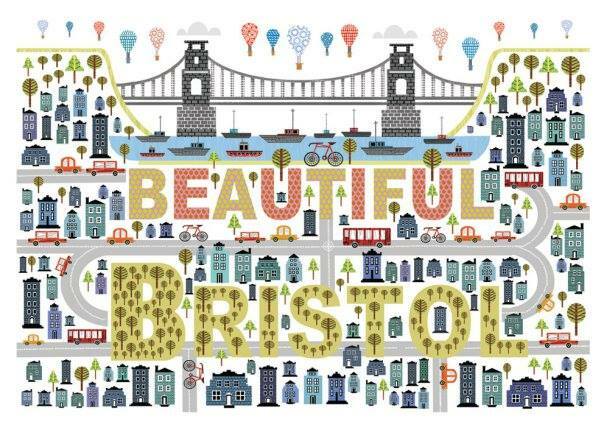 There are numerous public talks and lectures in Bristol, and many of them are free to attend. 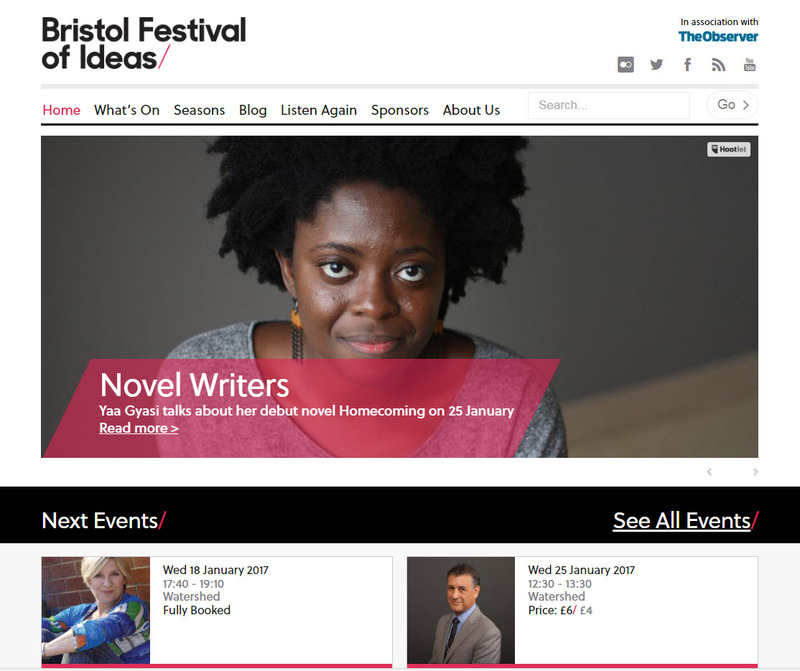 The Bristol Festival of Ideas attracts experts from around the world to Bristol with an inspiring programme of debate and discussion throughout the year. The Arnolfini also organises regular talks and the Pervasive Media Studio at the Watershed holds a free lunchtime talk every Friday. Bristol has a wealth of cultural treasures and historic places to explore – from museums, art galleries and theatres, pop-up cafes, festivals and world-renowned graffiti. Make sure you make the most of studying in such a vibrant city and take some time out of your research to explore. Keep up to speed with what’s going by keeping an eye on Bristol 247 and Bristol Museums.